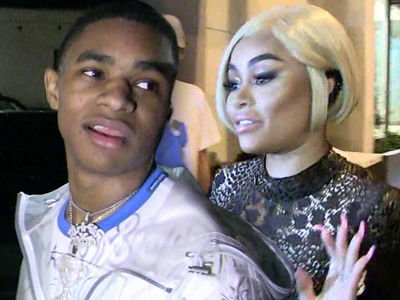 Blac Chyna Allegedly Threw Drink at Alexis Skyy ... Come Out & Fight Me!!! 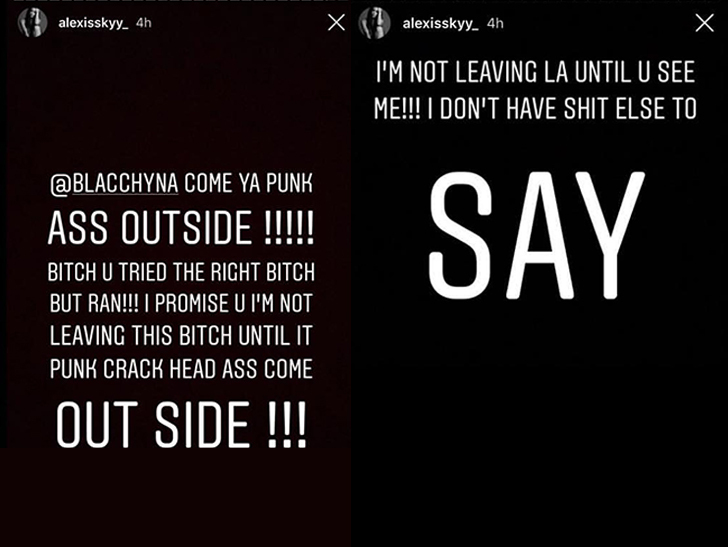 'Love & Hip Hop' star Alexis Skyy says Blac Chyna threw a drink at her out of nowhere at a party, and AS apparently waited for her outside in an attempt to square up. The story's pretty crazy ... from Alexis' side, anyway. She claims she and Chyna were at the same party Saturday night, and BC invited her over to her section. Alexis says she obliged and the two of them had a couple drinks, which is when things went south. Seemingly out of nowhere, Alexis says Chyna flipped out and asked Alexis to leave her section. Then ... Alexis claims BC threw a drink at her, and s*** hit the fan. Alexis says she started swinging at Chyna and ultimately got kicked out of the party. What's even more wild is that she apparently waited for Chyna outside for quite a long time ... or at least that's how it seems from the messages she was posting on IG. 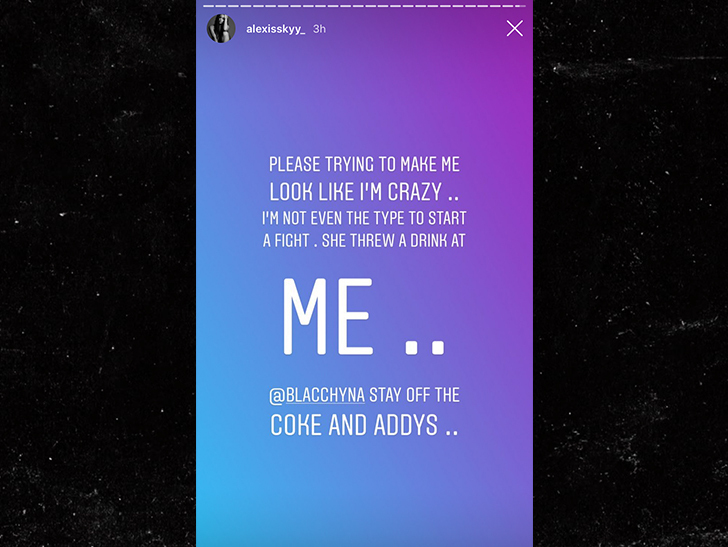 These messages were posted early Sunday morning, in which she accuses Chyna of drug use and dares her to come outside to fight in hand-to-hand combat. Unclear if BC ever did that, as she didn't have a thing to say about the altercation on her own social media ... but Alexis ended things with a warning shot to Chyna. We've reached out to Chyna's team for comment ... so far, no word back.